There are no fewer than six ports in the Heart of the Bay, and each of its romantic beaches is unique. 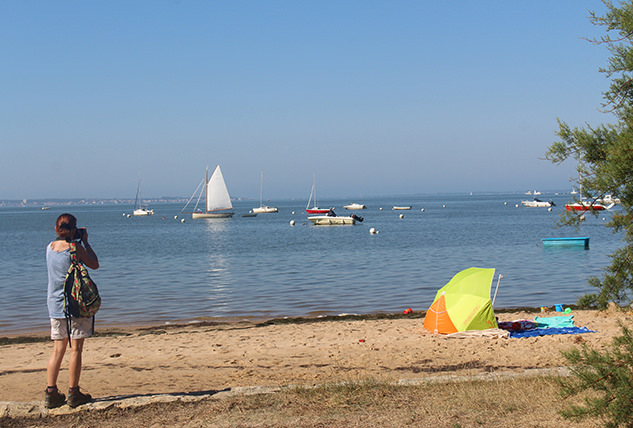 By high or low tide, you might admire the oyster huts, pinnaces and sailboats, delight in the famous Arcachon Bay oyster, or enjoy a refreshing dip in the water. More than just a port, this port is a destination in its own right, and everyone will find something they enjoy here! Gourmet? Enjoy the local shellfish in an oyster hut. Art aficionado or window-shopper? The region’s artists welcome you to the Cabane bleue aux artistes where you’ll discover their works. Visiting as a family? The playground, swimming area and various creative workshops will keep the whole family busy. Nature lover? 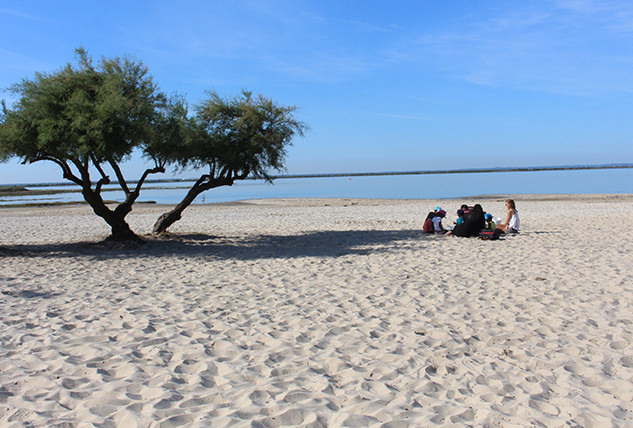 Set off between the coastline and the water at Domaine de Graveyron, a fragile natural area to be protected. At the heart of the forest, you’ll admire the brightly coloured huts that bring this spot its irresistible charm. Your eyes will delight in this enchanting setting, as will your palate when you taste the shellfish at the Oyster hut. Drift along in a canoe from Courant d’Eyre or embark aboard a flat-bottomed boat with Lou Batel’Eyre. As you drift along the Leyre, you’ll encounter the fauna and flora of this special setting. This dynamic port is busy throughout the year. 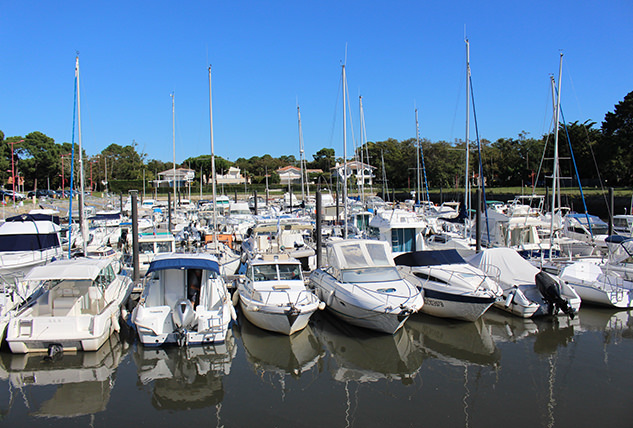 With its oyster farms, restaurants, fishmonger, harbour master’s office and playground, it is always bustling. 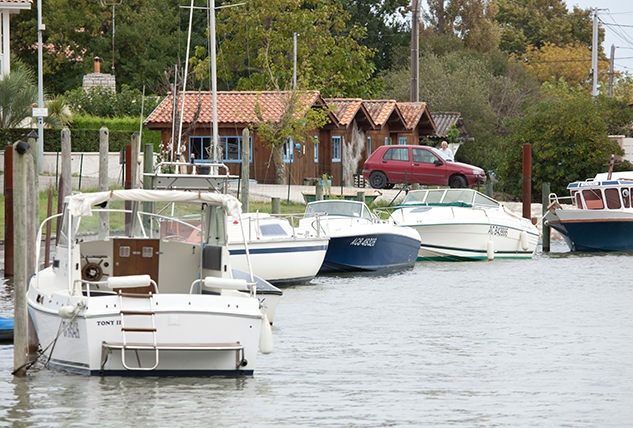 In the summer season, it is a great place to discover the treasures of Arcachon Bay, such as shellfish tasting and nature excursions in a canoe or kayak. This authentic port is a “memory keeper”, as demonstrated by its Gardarem ecomuseum, which holds the secrets of the ancient tools used by oyster farmers and pine tappers of yore. To try your hand at fishing, seek out Mickael and Julien, professional fishermen who offer beginner crab fishing lessons on the wharf of the port. 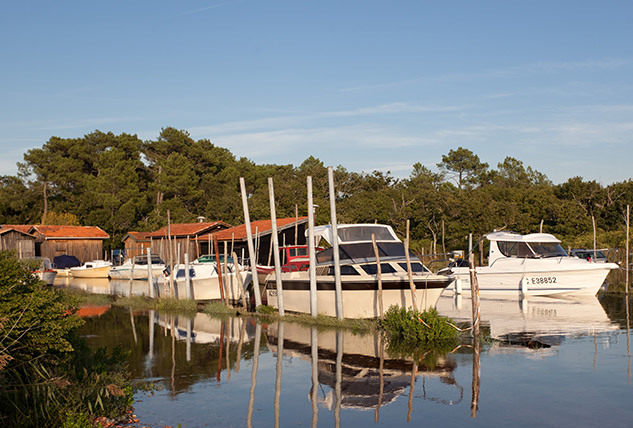 Located next to the Leyre Delta, this discreet little port is concealed behind lush vegetation made up of baccharises (or “brooms”) and reeds, old oyster huts, picturesque little pontoons and pleasure boats. 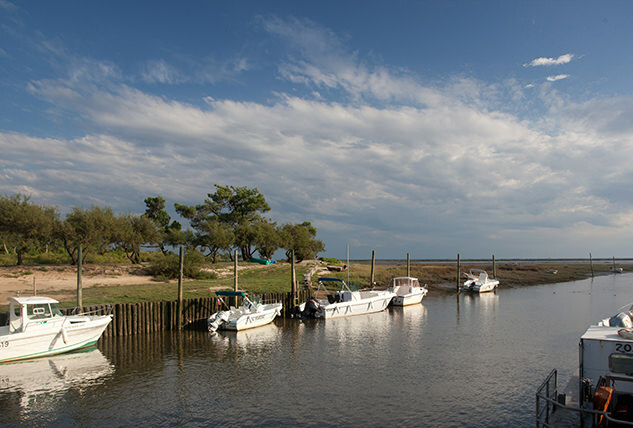 In this relaxing atmosphere, let yourself be soothed by the sound of the wind through the reed marsh and the sight of boats surrendering to the call of the sea. 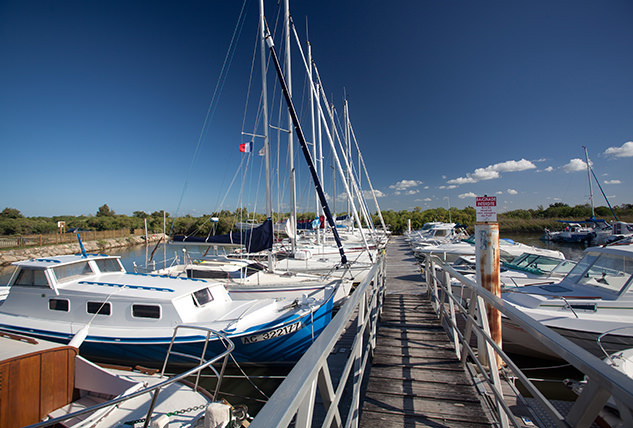 This vast new marina is sleepy for most of the year, but when the summer arrives, it unfurls its sails to delightful effect. 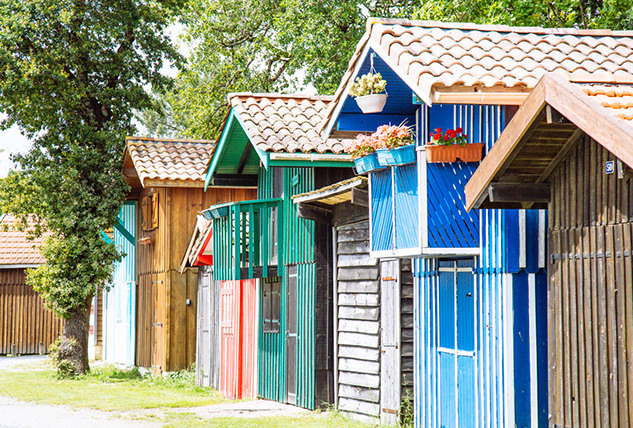 It awakens with the first warm rays of sun, and – with a favourable tide – beckons visitors to set sail for l’île aux oiseaux and its famous huts on stilts. A swimming area by high tide, this shoreline becomes a play place for all ages when the tide is out. Feel free to join a local guide, who can teach you and your children to recognise and gather shellfish and crustaceans nestling in the sand! Located near the port of Audenge, this beach offers a natural setting where you can spread your beach blanket and enjoy a relaxing break in the shade of the salt cedars. By high tide, this is the ideal place to bring young children for a splash in the salty shallows. 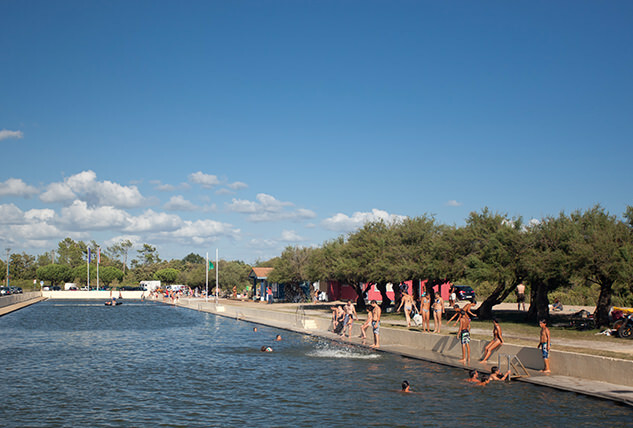 Stretching from the port of Fontainevieille to the old port of Taussat, this beach is lined by majestic villas of the early 20th century, when sea bathing first became fashionable. Step back in time and imagine that you are a swimmer who has just discovered the joys of paid holidays and has come here to enjoy the benefits of the sea spray. 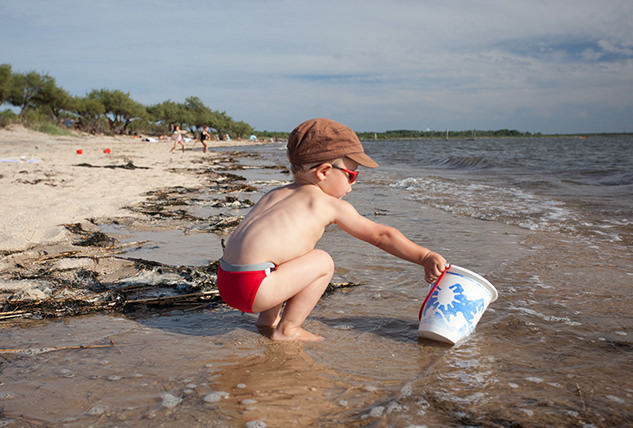 If you have an irresistible urge to plunge into the refreshing water, but find that the tide is out… Don’t panic! At the port of Audenge, the longest outdoor seawater swimming pool in Europe – complete with access for the handicapped – is there to fulfil your wish, as is the swimming area of Lanton Beach, complete with amenities and the “Handiplage” label. These swimming areas are supervised by a lifeguard in July and August, and they accommodate most of the Cap 33 sports activities.